Despite rising usage of tower cranes in India, operating them safely has remained a grey area, often resulting in fatal accidents and high construction downtime. This has negatively impacted the capital and operational expenditure incurred by the crane rental companies and the contractors in buying and operating cranes in high-rise projects. Taking cognizance of emerging safety requirements, manufacturers and distributors of tower cranes are leveraging their brands and market presence by offering newer solutions to heighten product support. The main reason for accidents is collision of jibs of the cranes working at shorter radius, and collapse of the cranes due to loss of stability while working in high-rise projects. The structural failures and the difficulties faced to handle and position the loads are the other reasons. According to industry observations, cranes collapse due to loss of stability and structural failures and their inability to freely ‘weathervane’, especially when not in operation. When high wind pressure is exerted on the tower cranes when they are not in operation, they should be able to freely slew or weathervane, else the whole jib of the crane, along with its mast, can collapse. For the crane to freely weathervane, the slew brake should be released and the jib should be placed at the correct (out of service) radius. “Generally, tower cranes are designed to withstand a maximum (out of service) wind speed of 140 km/hr, and to do so, they must be appropriately weathervaned,” says Mr. P.V. Ramdev, Managing Director, Everest Engineering Equipment. 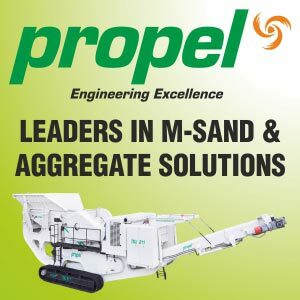 The company is an exclusive distributor of 8 to 64 ton of SYM, 32 to 200 ton of Finehope flattop, and electric luffing cranes in India. Other reasons for the cranes to not freely weathervane are failure of release of slew brakes, and electrical or mechanical issues. The most serious problem is of slew bearing. Wrong counterweight size or additional counter jib signboards are also a major reason for loss of stability, resulting in collision and collapse. “Wrong counter weight size or improper size of additional sign board of the contractor, displaying the company’s monogram, other than shape and size, specified by the crane manufacturer is also a reason where crane loses its stability due to high wind pressure. Being a distributor, we train and educate the customers for proper utilization of the eddy current braking mechanism. We also cooperate with them as part of product support towards recalculation and modification of the tower crane configuration to be opted for the specific wind conditions at work site,” adds Mr. Ramdev. Recalculation and modification is vital and based on site wind condition. This is because, if the maximum permitted wind gust for the specific crane configuration exceeds then the stability of the crane can greatly be compromised. Everest Engineering, which brought variable frequency drives for efficient working of the tower cranes, has recently introduced remote camera systems. “The radio operated camera can be comfortably operated by the operator. It can be placed on the trolley of the crane and moved according to the requirement of the operator. The biggest benefit of the radio camera is that, the crane operator can fully view the ground and site conditions below during day and night even from a height of 600m. This will help him to identify and pick the appropriate loads and bypass any collisions,” explains Mr. Ramdev. “Our tower cranes are designed to withstand high wind speed till 150 km/ph. This makes them highly suitable to work at 147-240 meters height and beyond in real estate residential and commercial construction projects,” comments Mr. S. K. Malve, Director Technical, Anupam Industries Limited. The company manufactures and markets hammer head tower cranes of 5 and 6 tons from Alfa of Italy, co-branded as Anupam-Alfa. “Maximum lifting capacity of 5 tons @ 15 meters working radius at 1.24 tons at 54 meters jib length and 6 tons @ 16 meters working radius and minimum of 1.4 ton at 60 meters jib length gives maximum area coverage to real estate construction projects. The cycle time of the cranes is not more than five minutes, making them ideal for high rise realty projects,” says Mr. Malve. He informs: “With option of undercarriage, the cranes can be used in a large number of real estate construction projects taking place in clusters. The provision can provide much viability to realty construction projects.” Anupam has supplied tower cranes in the recent past to a major real estate project in Nashik with an undercarriage provision. “For safety of the Linden Comansa cranes, the company has carried out engineering advancements in the cranes to withstand out of service wind speed of 161 km/hr from the earlier 151 km/hr. The modification has been carried out as per the European EN 14439 latest safety standards,” informs Mr. Rajesh Pahwa, Senior Manager, Sales & Marketing, Escorts Construction Equipments Pvt. Ltd. (ECEL), the exclusive distributor of Spanish manufactured Linden Comansa flattop cranes in India. “We render supervision services also for new as well as used tower cranes for erection and dismantling external / inner tower cranes. As compared to usage of derrick crane in advanced countries for dismantling the inner climbing tower cranes, it is done manually in India. There are vendors for the jobs in India. We arrange for trained vendors and also supervise so that the dismantling job is done safely and efficiently,” says Mr. Arun Bishnoi, Director-Sales, Electromech Zoomlion India Private Limited. He adds, “We support the contractors through our expertise for erection methodology and designing the anchoring support as per the site requirements. This is rendered through our expert design team. While erecting, the team looks after vital aspects like appropriate foundation and appropriate mobile crane to be placed with our skilled manpower.” Zoomlion Electromech manufactures 5013-5, 5 tons and 5610-6, 6 tons flat top tower cranes at its manufacturing facility in Pune. The joint venture entity also distributes higher capacity Zoomlion tower cranes in India. Generally, there are two known processes of dismantling tower cranes: normal dismantling through jacking, and the second is dismantling with internal climbing feature through manual intervention, or through truck cranes. However, the process can become very cumbersome if the crane is installed without studying the site layout and the jobs the tower cranes will have to perform during the entire phase of construction. In many cases, contractors acquire the cranes without evaluating the intended task the crane will be required to undertake as the project progresses. Further, the ability of the tower cranes to operate at its free standing heights is also not deeply considered in India. Most significantly, the dismantling adopted is not taken into consideration as well,” says Mr. Rajeev Kumar, CEO, DCS Techno Services, distributors of Liebherr tower crane for south India and exclusive distributor of Yangmao flattop and luffing cranes across the country. DCS has recently undertaken a major anchoring work through 40, 80 and 25 tower cranes for erection of cooling tower and boiler for a power project of Lanco at Ennore near Chennai. “The highly specialized job involved soft anchoring of the 25 ton crane with mast height of 260 meters chimney through wire ropes,” informs Mr. Kumar. DCS has undertaken installation jobs of tower cranes in Maldives, Sri Lanka, Afghanistan, and Doha. For safe operation of cranes, DCS distributes and installs anti-collision device from AMCS of France, which has been installed on Potain, Liebherr, and Terex tower cranes that are working in India. Support to make operations commercially viable for contractors is also a new business area for tower crane manufacturers. “We are offering our Universal-Useter 5-6 tons tower cranes to contractors along with complete product support, enabling the contractors to save on costs, without actually owning the equipment,” says Mr. A.D. Bhosale, Assistant Vice President, Material Handling Division, Universal Axis Lifting Solutions Pvt. Ltd, Construction Machinery& Equipment India Ltd.
Universal, manufactures 5 to 6 ton flattop tower cranes with its joint venture with Useter, at its Shivare plant near Pune. The cranes are available with inside and outside climbing variants. “The flat top tower cranes have box section double angle masts, made of heavy duty robust steel for faster erection and dismantling without distortion,” informs Mr. Bhosale. The emphasis on product support provided by tower cranes manufacturers and distributors to optimize the operations of their cranes and also to ensure safer utilization is indeed a very positive step that will generate more confidence in the end-users.